I love fourth Saturdays. Especially when the air conditioner is working in the LRB. Our awesome crowd of crafters (including a couple of husbands) was as cool as a cucumber working with their knitting and spinning fibers. And, as is our way, we had a blast hooking people up - with fiber, with information, with new skills, and with each other. 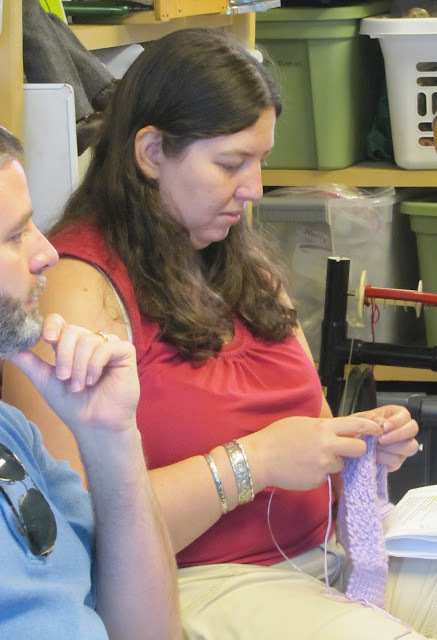 We met Kim for the first time, who brought her beautiful Butterfly Girl drop spindle, and who just needed a few pointers to get her going in the right direction. Kim is one determined lady, and her yarn improved dramatically just in the time she spent in the Barn. The barn brings people of vastly different backgrounds together, with fiber in common. And a love for tasty snacks. Thanks, Hanane, for the awesome chips and salsa. We all have valuable stuff to offer each other, and share it freely. 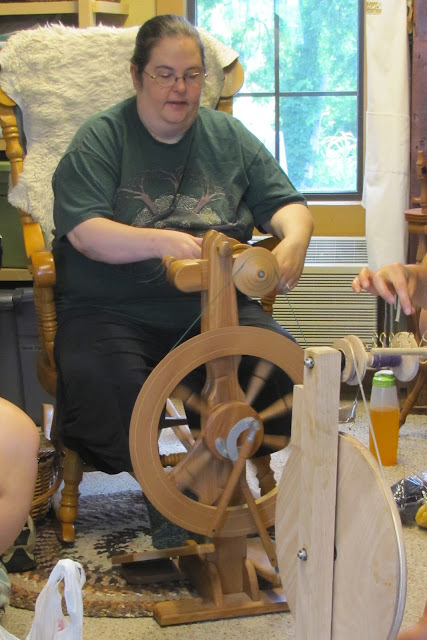 Kris helped Dina with her brand new spinning wheel until they made it do its job better and better. Everyone is so willing to help out a fiber sister. Leave it to Dina to completely skip over the drop spindle part of learning to spin! I still chuckle when I see Anela, whose mother and I went to the same high school in Hawaii almost forty a long time ago. Anela was working on a really lovely set of fingerless gloves on Saturday. Better for wear around here, than back home in Wahiawa. Rita's friend Chris was here for a visit, up from the gulf coast - and guess what? She and Kris figured out that they had mutual friends from their high school years in New York state. Seriously! Isn't that amazing? Rita's still in high-wedding-planning mode - with her matron of honor at her side, working out the details. She let us know that our friend Brenda will also stand up for her at the big ceremony next March. So happy for everybody! Burt hung around so patiently after our Native Plant presentation, while Dina worked with her new wheel and got going with her fiber. Hanane's husband was so quiet I didn't even get a picture of him. 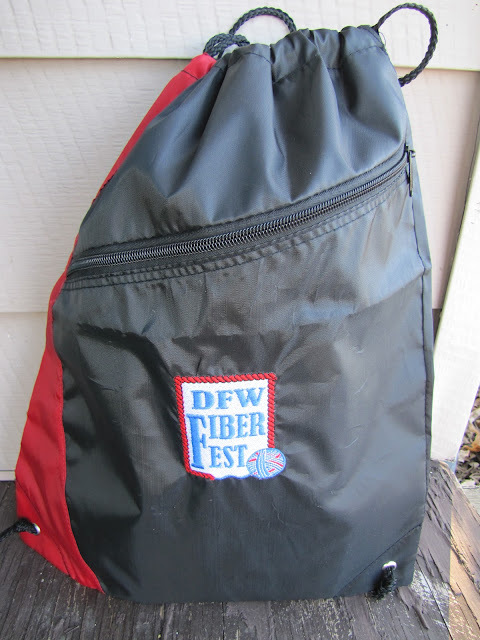 New inductees into the Awesome Fiber Husband Hall of Fame. Next month? More spinning and knitting fun, and our ART YARN CLASS! Stay tuned for very exciting details!